With the UGC having revised faculty remuneration by more than 100 percent, education has started attracting talent. Over 450,000 men and women are currently teaching in India’s colleges and universities. And the demand for their services is expanding at the rate of over 8,000 per year. Quantitatively, there has been an enormous growth in the past two and a half decades but qualitatively, there has been such demoralisation and denigration of the teacher — the cornerstone of education — that the once noble and much sought after profession has become the refuge of those who have failed to make the cut in the more lucrative world of commerce and industry. But now with the University Grants Commission (UGC) having approved the revision of teachers emoluments by more than 100 percent, education will hopefully start attracting talent. High academic qualifications are required to enter the teaching profession at the higher level. For the position of a junior college lecturer, an aspirant needs at least a second class masters degree as well as a bachelors degree in education or a diploma in higher education. To teach in a university or degree college, a teacher must have a good academic record and a masters or a doctorate in the relevant subject from an Indian university or an equivalent degree from a foreign university. Alternatively, they should have passed the national eligibility test (NET) for lectureship organised by UGC or CSIR-UGC. As a lecturer in a college the salary is Rs.8,000–275–13,500 per month with the career progressing to lecturer (senior scale) on a salary of Rs.10,000–325–15,200. The next step up the ladder is the lecturer (selection grade) on a salary of Rs.12,000–420–18,300. The principal of a college with a student strength of 4,000 and above draws a salary of Rs.16,400–450–20,900–500–22,400. Although monetarily a teaching career may still not be as attractive as a corporate career, it offers other rewards such as the challenges of teaching, research facilities for self-improvement and plenty of time for other pursuits since a teacher usually gives only 20 lectures a week of 50 minutes duration. 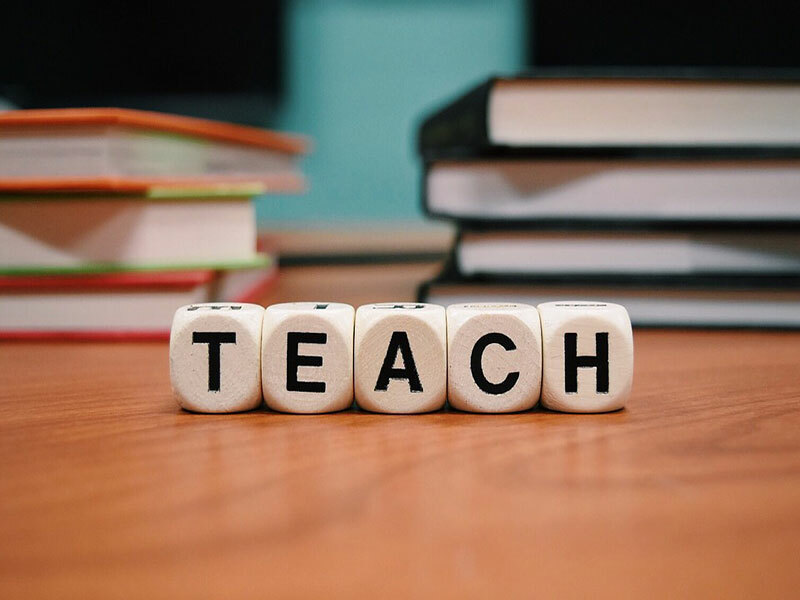 Landing a teaching job is not very difficult at the moment, as there has been a tremendous quantitative expansion in college and university education. Ideally, a teacher should be academically good in his/her subject and should be able to communicate with young people. Above all a teacher must have a large dose of idealism and must approach his/her calling with an inward urge to fulfil a noble mission. A teacher with all these qualifications and more is Dr. Indu Shahani, principal of the highly reputed H.R. College of Commerce and Economics, Mumbai, whos doing more than her bit to give a new direction to higher education. The entire education system has become lacklustre. The large and unmanageable number of students going in for higher education is the biggest constraint. When I entered the profession 32 years ago, I had 50 students in my classroom. Today we have to teach at least 120 to 130 students. H.R. College started with 200 students 40 years ago. Today we have 5,000 students. There has been a dramatic expansion in higher education capacities. The number of universities has increased from 19 in 1947 to 509 today and colleges from 650 to 31,000 respectively. Not surprisingly the number of teachers has risen from 7,000 to 457,000 and students from 2.50 lakh to nine million,” says Shahani. A brilliant student, Shahani was awarded a B.Com degree by H.R. College in 1972, securing first rank. She became a fellow of Sydenham College in 1974 and was awarded a doctorate in commerce in 1999 for her thesis on ‘University-industry interface to enhance undergraduate education — a first-of-its-kind thesis in the history of Mumbai University. Moreover, for the first time Mumbai University introduced its Bachelor of Management Studies and Bachelor of Computer Studies degree programmes and H.R. College was selected for pioneering these programmes, thanks mainly to Shahanis efforts. To improve education we have to build partnerships with stakeholders in education viz. students, parents, user sectors, and society. We are increasingly taking assistance from our stakeholders. Ive built up a parent forum for meaningful education; I invite guest lecturers from industry. I want students to empathise with society. So we encourage them to get involved in environment and civic management programmes. We want to build academia-society partnerships,” says Shahani. Optimistic about the future of higher education, Shahani believes a total change in approach to teaching is in the offing. “With teachers getting higher salaries, there is imposition of stricter service conditions and teachers have to perform. Also, with the entire economy opening up, education is likely to follow suit. For instance, foreign universities and institutions may well decide to set up shop in Mumbai. So we have to pull up our socks. The teaching career is becoming more challenging and rewarding,” says Shahani.